Want to stop buying clothes for a year? Huffington Post's Sara Spary talks to 3 people who did it and tell you how. 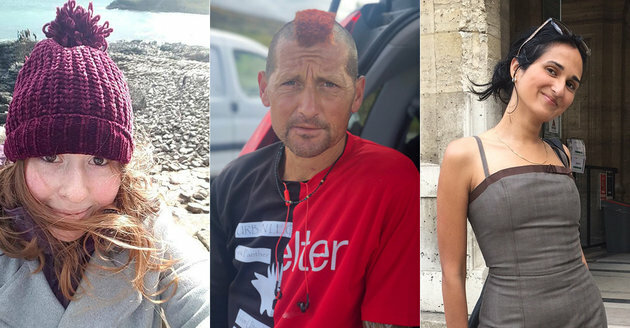 A fashion fan, an elite runner and a former shopaholic share their tips and tricks, successes and failures on their personal journeys. we’ll bet there are a few lonely items you’ve either forgotten about entirely or rarely wear. How many of us have clothes, accessories or shoes we never make use of – yet somehow feel the urge to buy more? According to figures from Weight Watchers, the nation owns £10bn worth of clothes we simply don’t wear. Other estimates reckon we wear 20% of our wardrobe 20% of the time. If you’re thinking about giving up shopping but don’t know where to start, we asked three people who’ve managed it – a fashion fan, an elite runner and a former shopaholic – to share their tips on making it through a year of no purchases. ‘Look at what you already have – you’ll be surprised about the outfits you could cobble together.’ Bryanna Martonis, 26, who runs The Ecological blog, gave up buying clothes in February 2018 and has only purchased one new dress for her brother’s wedding and a second-hand jumper since. Dan Lawson is a 45-year-old elite endurance runner from Brighton and a Team GB athlete. When he gave up buying clothes a year ago he has an epiphany: he didn’t actually need all that hi-tech top notch running gear to perform any better. Lawson runs more than 100 miles each week and in September extended his no-purchase rule to trainers. He has also founded a scheme called ReRun, which encourages people to donate and buy second hand running gear. ‘Vow only to buy necessities – and buy second hand if you can.’ Nobody expects you to go pants-less or walk around in laddered, holey tights, so be realistic about what you can do without brand new. But shopping second hand is a really good way of making the most of items that have already been made. “I follow a few simple rules,” says Santa Meyer-Nandi, a 34-year-old from Paris, who runs a sustainability blog Finding Sustainia and gave up shopping in 2014 for a year. She has since dramatically reduced what she buys. ‘Get into the repair and repurpose mindset.’ In our throwaway culture, we often replace things when they are broken rather than investing time and energy into fixing them, as previous generations would have done. Adjusting your mindset will help you see value in the things you own rather than chucking stuff in the bin and reaching for the shops. Clothing is important to Meyer-Nandi who enjoys expressing herself through fashion. As a self-professed former “shopaholic” she has worked out a strategy for keeping stylish without purchasing anything new needlessly – she takes her clothing to a tailor who can transform old items into something new. Online services like The Clothes Doctor – which will pick up, mend and return your old clothes to you as good as new – are also well worth checking out. Written by Sara Spary for The Huffington Post, read the full article here.